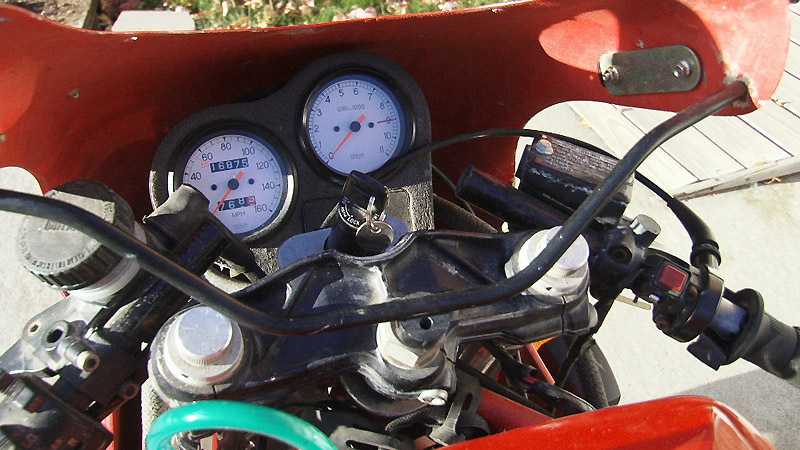 This is a street legal DOT approved, built for the USA market Ducati 750F1 located in Maine. 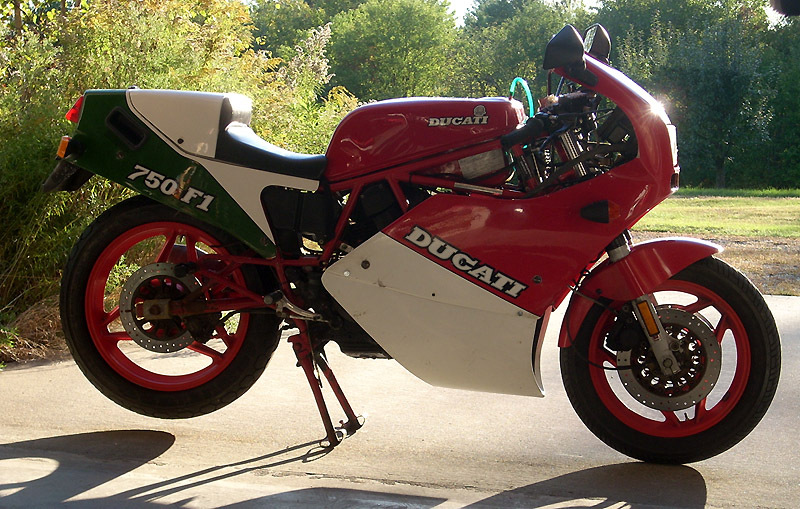 There are 16,800 original miles on this 1988 Ducati 750F1S. 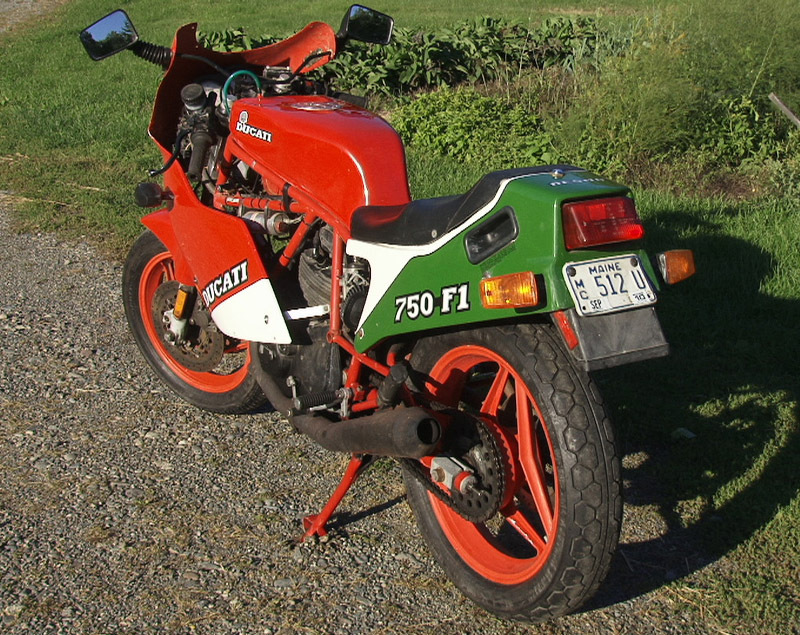 The 'S' model is basically an updated 1986 model with dual seat, dual exhaust and a front fender from the Montjuich made specifically for the USA market. 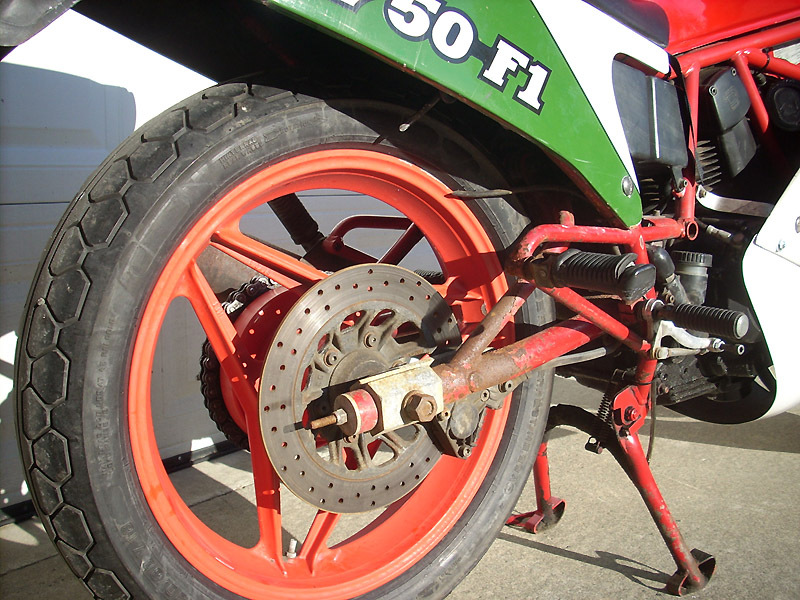 Only 84 of the 'S' model were produced of only 1801 total production for the 750F1. Once we agree on the price, I will only take cash, or direct bank transfer if you are not local. NO PERSONAL CHECKS will be accepted. If your bank has a local branch to me, then you and I can go to your bank and the teller can hand me a bank check.